German solar development platform offers cost competitive and climate friendly energy supply to industrial customers in Africa. Today the Nevada Legislature passed Senate Bill 392, establishing a new statewide community solar program that will ensure that renters, low-income families, and others have the opportunity to participate in the states growing clean energy economy. The near completion of the world's first floating offshore wind farm, Statoil's Hywind pilot park in Scotland, UK, is a notable example of MacGregor's capabilities. It will feature Pusnes substructure connection mooring systems from MacGregor, which have been delivered and will be installed when the hulls are complete. Conference Background 2nd Annual ASEAN Solar+ Energy Storage Congress & Expo 2017 is the largest congress focusing on solar and energy storage market in ASEAN. The event will take place in Manila, the capital of Philippines, on November 14-15, 2017. Investors over the world are gradually realizing the potentials of energy storage market in ASEAN, especially Malaysia, Philippines, Thailand and Indonesia. Participants from governments, utilities, independent energy producers, energy storage products manufacturers, consulting companies, associate as well as other related sectors are invited to together discuss applications, opportunities and challenges for solar and energy storage development in ASEAN market. Tanzania Electric Supply Company Limited confirms to join ASEC2017 ! Great New Tanzania Electric Supply Company Limited confirms to join ASEC2017 ! APsystems joined the approved vendor list for Dividend Solar, a leading home-energy financing platform. 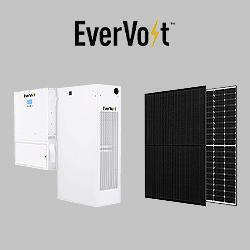 The agreement brings APsystems advanced microinverter technology to Dividend's portfolio of top-tier, consumer-friendly solar products.